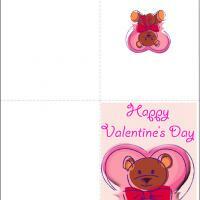 This half page Valentine card features a cat and a puppy image with hearts bordering the front page. 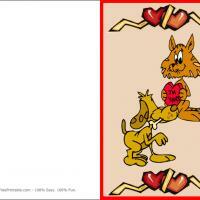 There is something of a story being told here with the cat holding up his heart shaped sign and the dog happily holding a bone, but we'll leave it up to you tell how the tale ends. 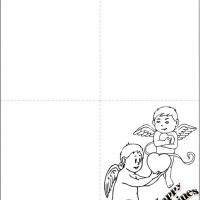 These free printable cards are less about the love between a couple and can be given between friends and family with ease. 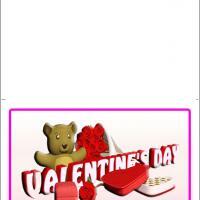 Your friends will love these cute printable Valentines cards, especially if you write your own message inside, so print it now. This card is just the thing for all the animal lovers in your life, particularly the creative ones who can tell you how the story ends. Print today and enjoy!